A career military man, Charles de Gaulle participated in the First World War and was taken prisoner. But history remembers this general as the man who launched an appeal on BBC radio to the French to resist the Germans, contrary to General Pétain, who collaborated with the Nazi regime established in occupied France as of 1940. 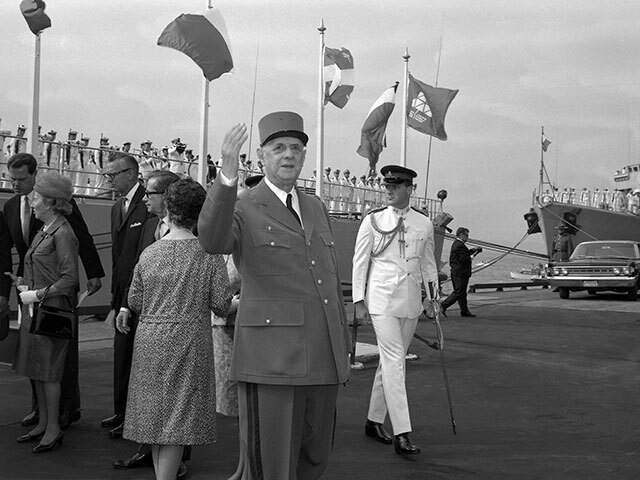 Once France was liberated in 1944, de Gaulle was named President of the interim government. In 1946, he left the political scene to return again in 1958. He was President of France until 1969.